I will always choose a trip to the museum over a visit to the zoo, although I know that zoos play integral roles in the childhood of kids. I myself can admit to fond memories of my zoological trips. I still remember my trip to the London Zoo with one of my paternal aunts when I was 7 years of age, the outing having been memorialized in a picture of me admiring bambis and framed by my mother. At one point, my children even had memberships to the Dubai Zoo. I took them whenever we had a free moment during the clement months of winter. The entrance costs a mere dollar and the zoo is tiny enough for toddlers to run through it in 20 minutes. I must confess that the animals are not treated within the guidelines of "animal rights", the cages being too small and the animals pacing back in forth in boredom. The wolves howl, the lions roar and the gorillas beat their chests. However, it is ideal for children because you get a very close view of the animals, big and small. My ten year old son to this day revels in the memory of playing with the tiger cubs when the keeper took them out of the cage, when he was still a toddler. Yesterday, quite spontaneously, my brother, my nephew, my kids and I made a road trip to the Al Ain zoo. We drove across beautiful desert and oasis landscape before reaching our destination. The 90 minute drive was well worth it. The Al Ain zoo has been "curated" (if I may use that term in this context) by the San Diego zoo and the animals live in a captivity that blends into the desert landscape. Glass barriers separate the animals from the visitors. It truly is a beautiful place. My kids enjoyed it with much enthusiasm. Observing wild life is part of growing up and is a great tool for their imagination and their cognitive skills. It's much better than watching the discovery channel! After all, so much of our stories are built on animals and fables. The best part of the trip was encountering the white tigers, even if they had found a shady place that almost hid them from the public eye. 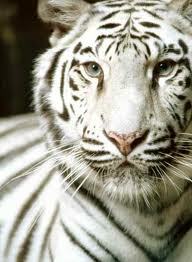 I have once been face to face with a white tiger. While my son boasts about playing with tiger cubs, I amuse dinner companions with the story of the strangest encounter one could have at a red light, by the Emirates Towers. In a mini-bus in front of me, a beautiful white tiger stared at me through a large pane of glass. Come to think of it, I have had a previous Ace Ventura type encounter. Smack in downtown Boston, in the Commons Park, I saw a bald eagle swoop down before my eyes, only a few feet from me, to catch a prey. Miles away from my own hallucinations of white tigers and bald eagles is yet another ace-ventura story that happened to our friends in London. 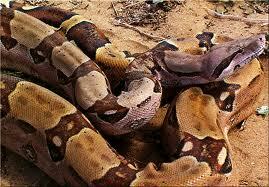 Their teenage son had a yellow boa constrictor he kept as a pet in an aquarium in his bedroom. For that reason, out of fear, I never set foot in that room, only rarely catching glimpses of this scary animal through the door left ajar. Well, one day, that same boa escaped from his aquarium and made his way to the toilet, down the drain .......to the downstairs neighbor's toilet as the neighbor was "going to the loo"! Hi Yasmine, I'm posting a comment to let you know that I am reading and enjoying your writing! After our phone conversation today, I want to make sure that you don't get lonely in the blogosphere... 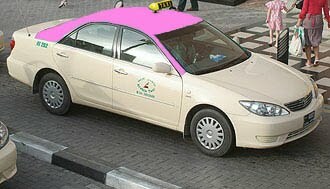 I'll have to plan a trip to Al Ain before the weather gets too warm. I've always enjoyed trips to the zoo. Having grown up next to the Dubai Zoo, zoos evoke happy childhood memories. Lets say its my un-politically correct guilty pleasure. Zoos in general are highly unethical by design. You are removing animals from their natural habitat and placing them in cages. Having gotten that off my chest, zoos can also be highly educational and a fun experience. I've taken my nephews and niece many times to the zoo hence I earned my nickname. I'm happy to read that Al Ain Zoo is ethically conscious. I look forward to visiting it with my family. Well I can boast about living in the city which has the most "correct" zoo, San Diego and indeed it is something to see. However, even though I do like seeing animals and reptiles at a close proximity, I have never taken my grand-children to the zoo, it just has never happened. Perhaps, I am also like our blogger, preferring to go to a museum over the zoo and I have at occasion dragged my poor grand-children to museums, obviously not as interesting for them!